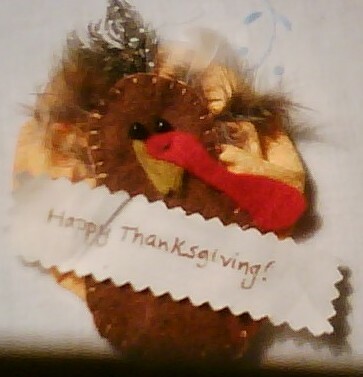 A middle school FACS class makes this cute turkey pin or napkin holder by attaching a yoyo to a blanket stitched turkey body. They sew the beak and gizzard through all the layers to hold it together. Glue feathers under the turkey’s head and a pin on the back if desired. This time of year can be stressful for us as the students get riled up in anticipation of school break, classes get shorter making it hard to cram our lessons into half days, and our personal lives get busy. I still like to celebrate with students and take some of the pressure off of the normal academia pacing that at this time of the semester can leave us all exhausted. Here are a few Thanksgiving ideas to either help your department raise money, fit in some extra holiday excitement, or comply with a half day schedule.